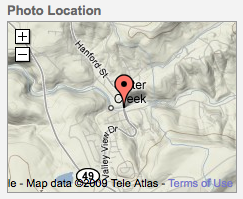 For quite some time, and after much trial and error, I thought there wasn't a way to get your geo-tagged photos uploaded into Picasaweb Albums with the geo data intact. Well now I have a way. 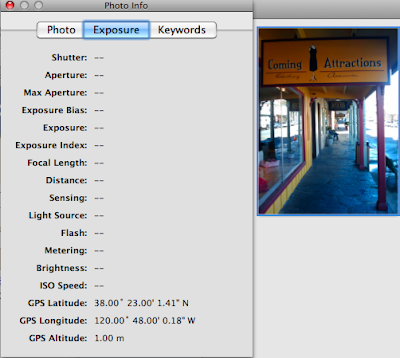 Import the photo into iPhoto, and if you do Get Info (Apple-I), you see the geo-data. Part 1 complete! Next, use the Picasa uploader by exporting (File>Export).